If this news can’t raise your eyebrows and instill fear in you nothing can. If a judge constitutionally responsible for giving justice and who has and the people around him have some protocols to follow died in such a mysterious way how much our lives are important? I am talking about the recent story of The Caravan Magazine by journalist Niranjan Takle of death of Judge Brijgopal Harkishan Loya who was presiding over Sohrabuddin Encounter Trial in which BJP President Amit Shah was an accused then because after his death on 1st December 2014 Amit Shah was removed from all the charges by the new judge on 30th December 2014. 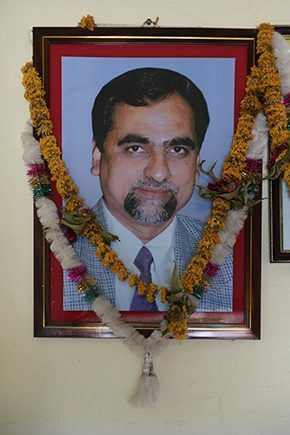 Why police or any other person informed justice Loya's family about his death? A person claiming his cousin (Chachera Bhai) who signed his postmortem report and claimed body from the hospital is not known to the family. Who was he? Where was he when Loya's body reached his village? Why only Judge's driver transported body alone to his village? Where were other two judges accompanied him to the marriage of a fellow judge's daughter in Nagpur? Why Justice Loya's shirt has blood stain on it? No police report, no panchnama. Why? How an RSS worker was aware of the death and what was his role in all this. Why from a VIP lodge of Nagpur where he was staying along with many other high profile guests he was carried to hospital in an auto rickshaw? Who suggested that hospital which have non working ECG unit? These and many other points are raised by the family in conversation to the journalist which you can read in the detail report here. (A Family Breaks Its Silence: Shocking Details Emerge In Death Of Judge Presiding Over Sohrabuddin Trial). My question is to the silence of media who was discussing ‘Padmavati’ on prime time in their Newsrooms with none other than Karni Sena. My question is also to the Supreme Court and other courts that are silent on the suspicious death of their fellow judge. We have watched this happen in movies where people who were against some politician or party leader were either killed or threatened to silence or bribed. We have the right to know what has happened in this case. Who killed justice Loya? Because from the way all things take place it is clearly not a simple case of heart attack death but something more suspicious, mysterious and doubtful. Those who are reading this must read the detailed Caravan Magazine story which is available in both Hindi & English and must react to the incident not just to ensure Justice Loya’s family that we are with them but to ensure ourselves that Victory lies ahead of fear. I have seen Ravish's report on NDTV and it shook me to the core. This is extremely saddening... RIP!